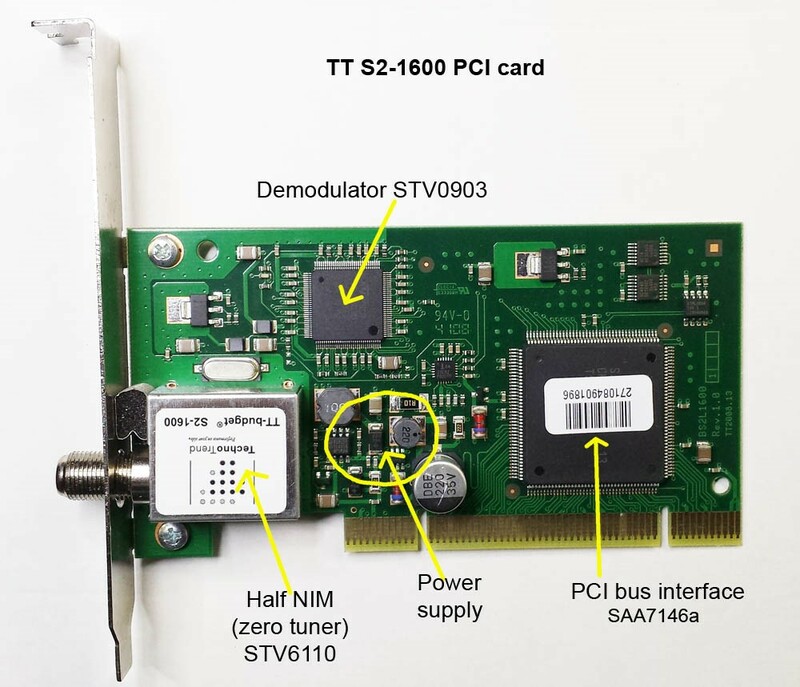 Since 2014, ground stations have used the Techno Trend TT S2-1600 PCI card for reception of the DATV signals transmitted by the HamVideo transmitter. This card is not produced anymore, but some are offered for purchase on Ebay. The Zero Tuner accepts signals from 650MHz to 2600MHz. The STV6110 synthetiser processes the RF signal and delivers I and Q signals. The QPSK demodulator STV0903 processes the I and Q signals and creates a transport stream. The transport stream is transferred to the computer by the multimedia processing chip SAA7146a, which is connected to the PCI bus of the PC. The software sends instructions to set up the STV0603 demodulator via a I²C bus. The STV6110 synthetiser receives instructions via a I²C repeater. Remark: I²C (pronounced “I squared C”) is short foir “Inter-Integrated Circuit”.